She is responsible for book keeping, managing filing, storage and security of documents, helping with financial reports, assisting in the calculation of taxes, assisting with payments and creating contracts. Azra also assists in preparing annual financial reports and procedures. Previously, she worked in finances and accounting. 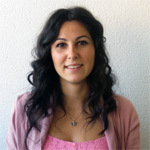 Azra studied economics at the University of Sarajevo. She speaks Bosnian and English.